The Washington, D.C. Chapter held a meeting on Saturday, Nov. 15, at J. Gilbert’s restaurant in McLean, Virginia. The meeting was preceded by a moment of silence for the victims of the terrorist attacks in Paris that transpired the evening before the meeting. D.L. Petry shared his recent experience traveling to North Korean (“glad to be home”) and Dr. Lew Toulmin gave a presentation on the Prince Philip tribe of Vanuatu. 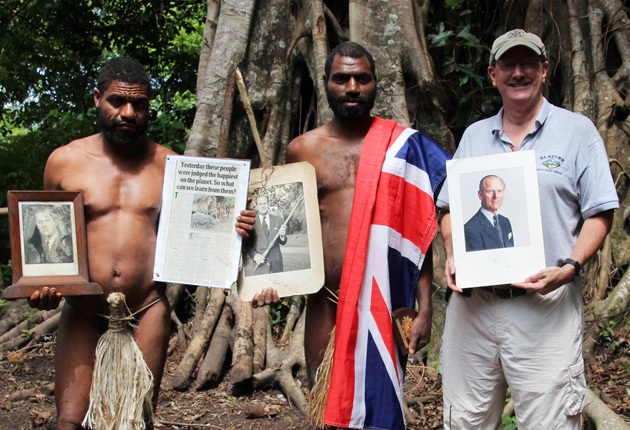 Members of this tribe believe that the Duke of Edinburgh is a god who was born on Tanna island in southern Vanuatu, and who will be reincarnated on Tanna as a young Melanesian man after he dies. Lew recently returned from three years in Vanuatu, where he was working in the prime minister’s office.